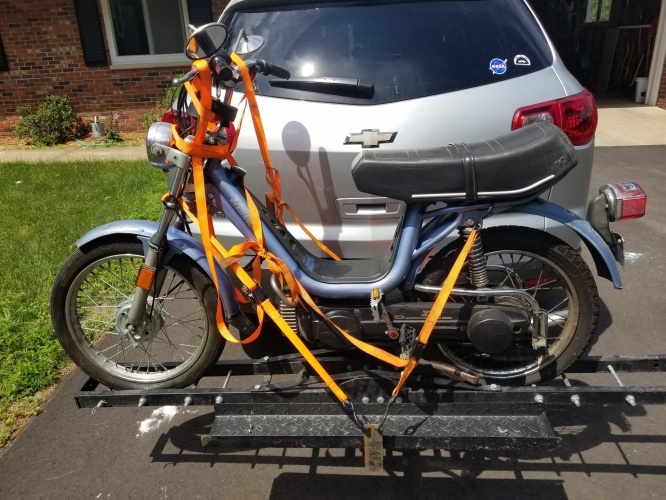 It’s been a while but I figured I’d be coming back so I kept most of my moped stuff. 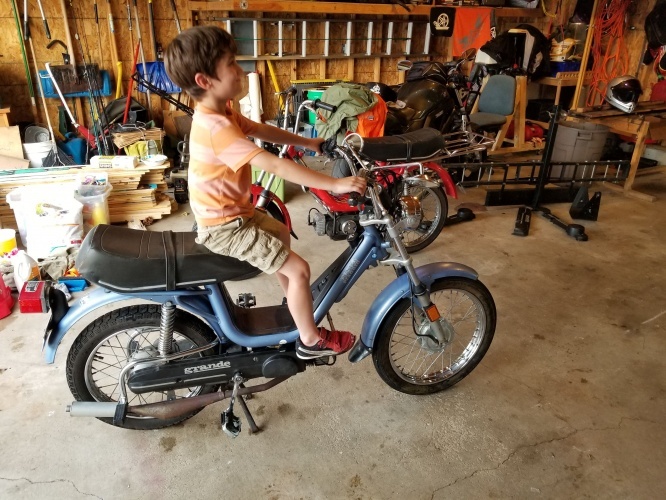 I drove to Eau Claire over the weekend and picked up another Vespa Grande. I’m pretty excited to be wrenching again. My plan is to fix it up and keep it stock until I get bored with that, then I’m putting a Peugeot subframe on it. Got A Grande! 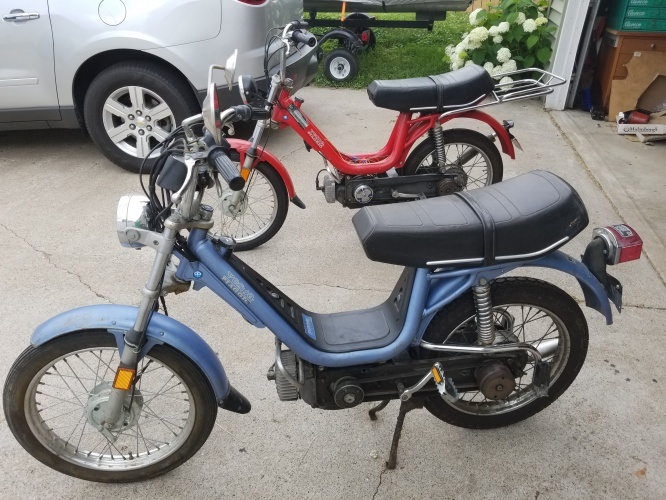 1977mopeds.com Peugeot 50cc Racey Kit Review Part 1 Moped Gearing Calculator Got My First Peugeot!